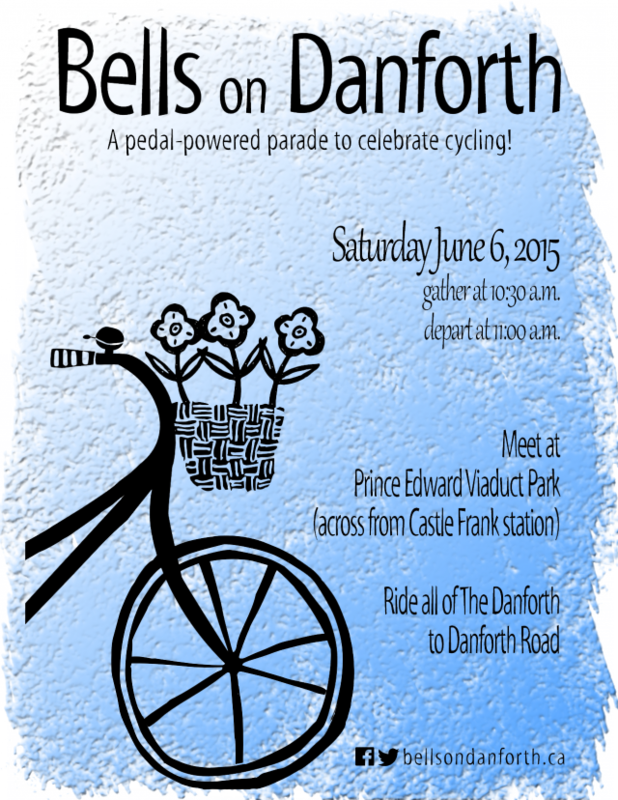 Get ready for the 4th annual Bells on Danforth ride! Once again, Ward 29 Bikes has joined forces with Ward 30 Bikes, Ward 31 Bikes, 32 Spokes, TO35Cycles, and Ward 36 Cyclists to bring you this family ride. This year, to celebrate Bike Month and 100in1Day, we will highlight the Danforth by riding east from Castle Frank to Danforth Road for a party. Bring a picnic lunch or grab a meal or dessert at one of the local restaurants before heading back home. 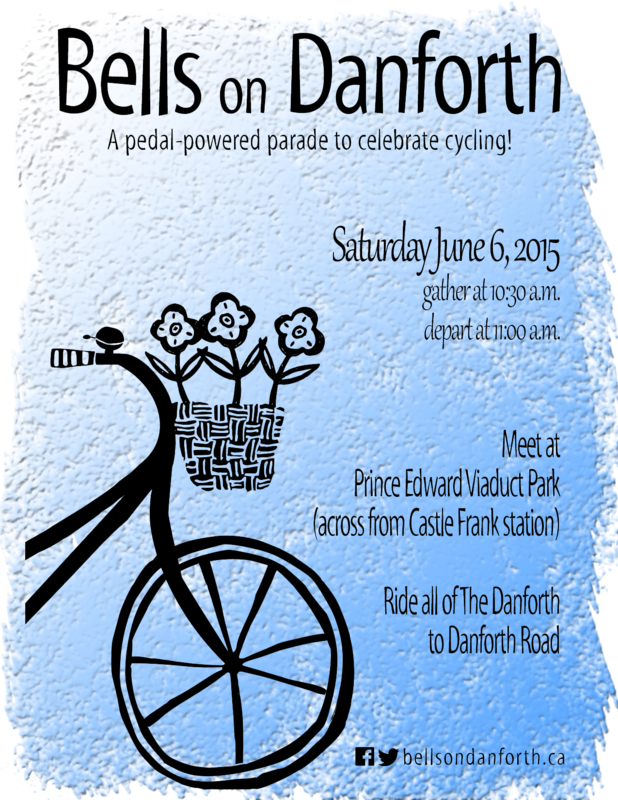 Check out the Bells on Danforth site for more details about this year’s ride. Gather at Prince Edward Viaduct Park (across from Castle Frank station) 10:30 a.m. on Saturday June 6, 2015. Departure at 11 a.m.